Who's ready to start 2015 with a renewed vision of where we're going and what we want to do? Here's hoping you've all had a wonderful holiday season and my wish for us all is that we find peace, contentment, health, happiness, hugs, laughter, love, giggles and lots of time to be crafty! Hi, I'm Monika and I'm a paper planner addict from way back. You know, before there was such a thing as a Google calendar or smart phone apps to keep you organized. 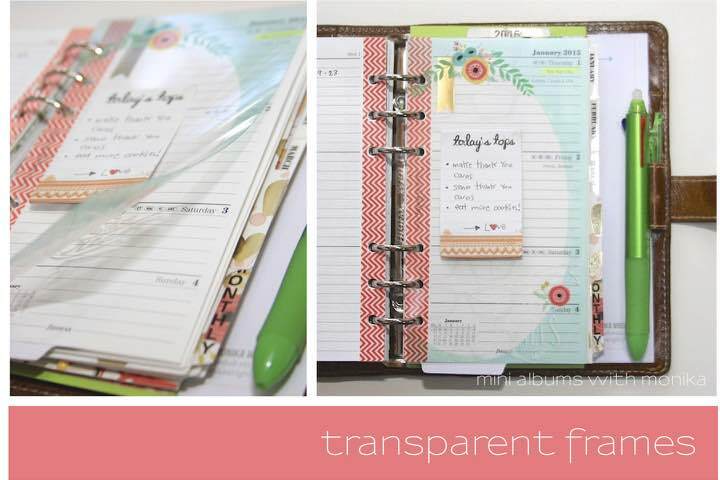 And today, I'd love to share with you how you can trick out your paper planner with items from your scrapbook stash...why should layouts and mini albums have all the fun? 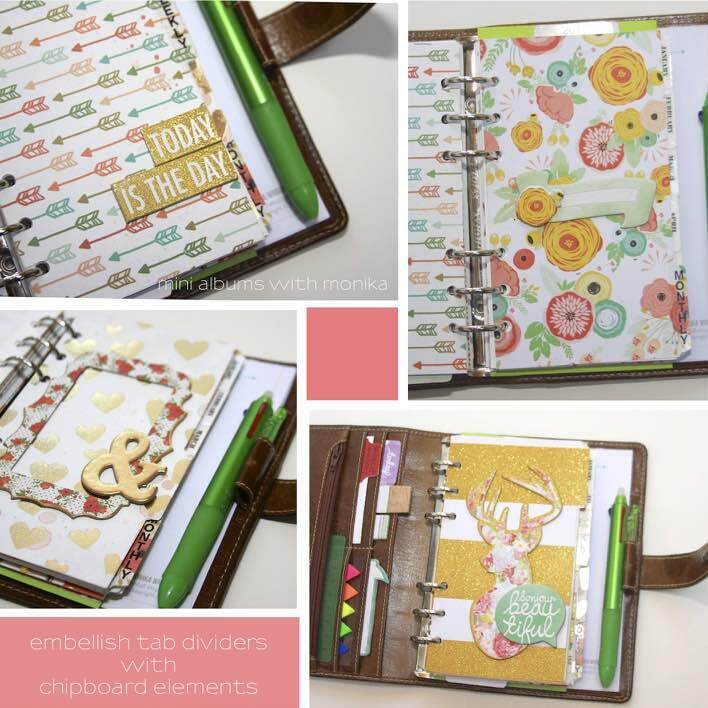 That's right, why not use your chipboard elements, enamel dots, decorative tape and cute scrapbook papers to personalize your planner to show your creative side. I began personalizing my planner by choosing my favorite papers and tracing the tab divider page onto the back side of patterned cardstock and trimming to size. I recommend punching your holes now, before embellishing them with chipboard, especially if you are using something other than a hand held hole punch. And who says we can't embellish our divider tabs? I love opening up my Filofax and seeing all that gold glitter! And the floral deer head just makes me smile! 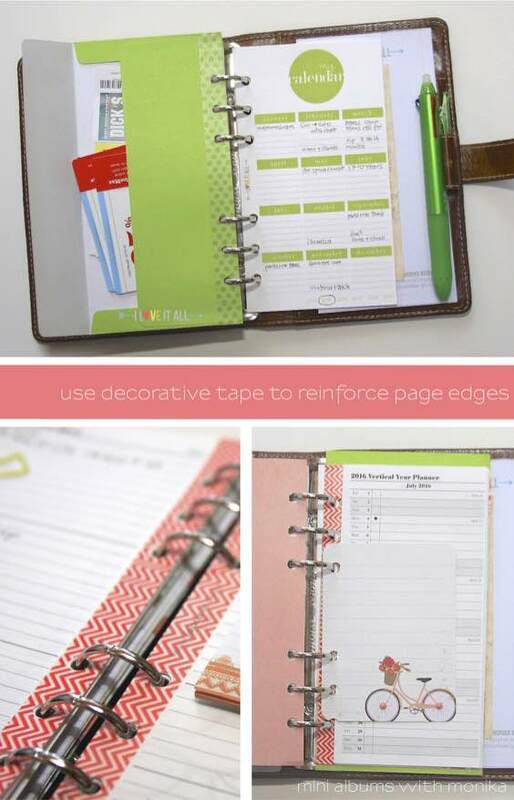 Rub Ons are a perfect embellishment for those of us that don't like a lot of bulk on our planner pages. You can still write on each side of the page without obstruction. And how do you like the way I added the colorful enamel dots to the Bike paper? It always seems that I need to do forward planning when planning vacations and appointments, so I use a vertical pull-out calendar for the following year and made a top tab page so I can easily flip to this pages when I need to jot a quick reminder. Sometimes, a girl just needs to jot a quick list on a sticky note and not actually write it in her planner, right? 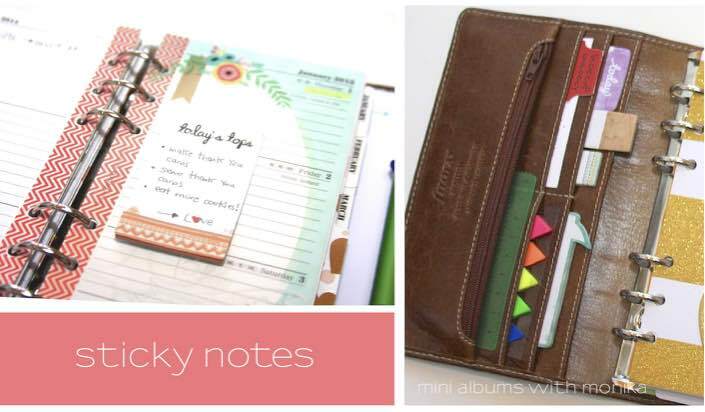 I love that MME has designed some super cute options for adding journaling to a layout or mini album, but the sticky notes are so, so perfect for your planner or calendar, too! And because I do use sticky notes, I've found that the transparent frames, trimmed down, are great to add between my weekly pages. I can still see the notes for the whole week, but I'm greet with an upbeat message and awesome design each time I review my day. Plus, the transparent frame is the perfect spot to hold my sticky note collection...yes, there may just be more than one note on here at one time! I like to embellish the edges of my weekly pages with Decorative Tape to add a bright outlook and it doesn't add any extra bulk. By trimming an envelope, and reinforcing it with tape for strength along the cut edge, I am able to store my coupons here, thereby reducing the bulk in my wallet. Follow along with me on Instagram, where I share more photos of how I've decorated my Filofax planner. 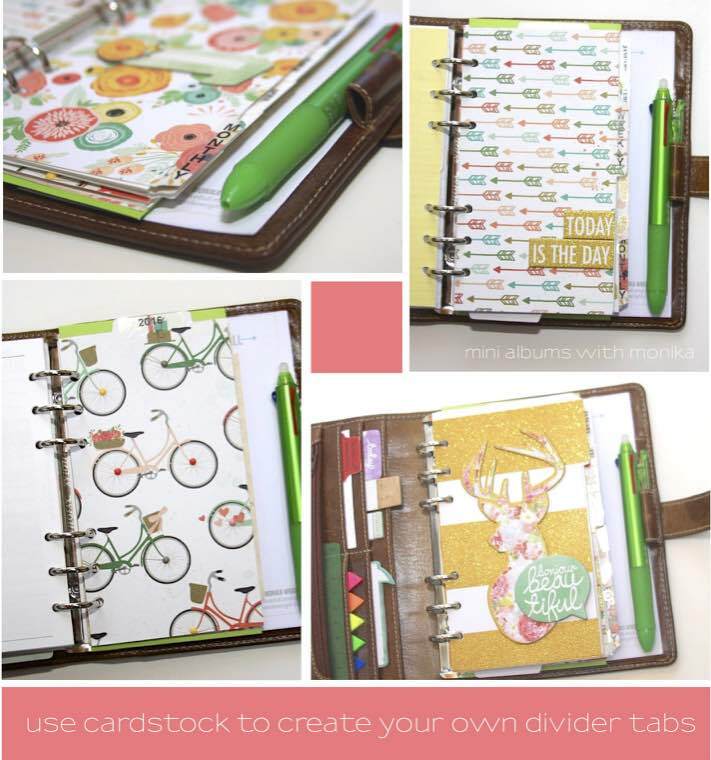 Find more Filofax planner posts here. To find the free perpetual calendar you see above, click here. Very cute lady!! 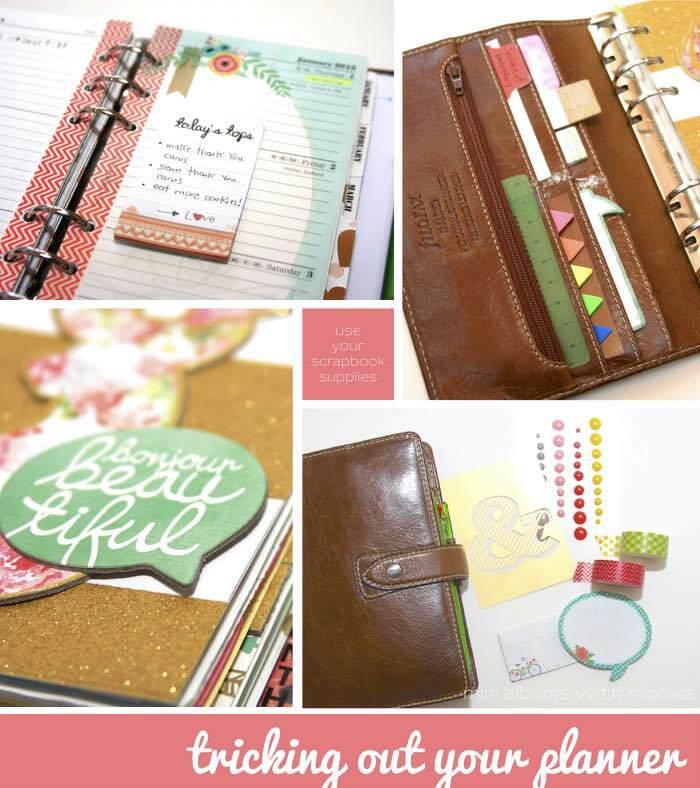 I LOVE using scrapbooking supplies in my planner! I just shared about it on my blog the other day! 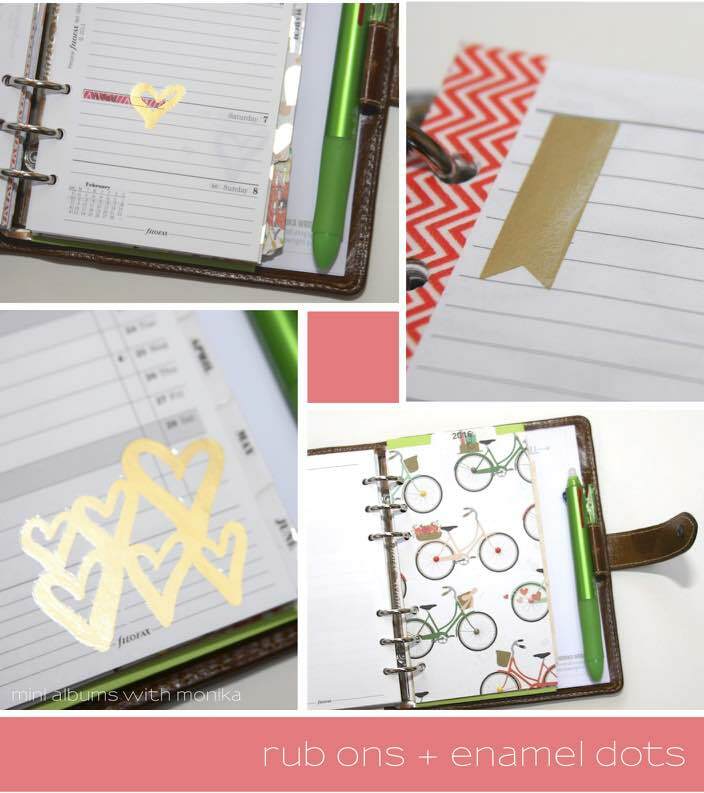 :) http://www.caravansonnet.com/2015/01/2015-altered-planner.html :) Love yours! Its adorable!! Oh gosh, I love your planner. Love. Thanks for sharing, Rebecca! Oh gosh, your planner is going to be fabulous, Krystyn! You are so creative, and have a way fabulous stash, and I can't wait to see what you share.